Enjoy a beautiful walk through Quiet Waters Park with your favorite furry friend. Explore the large outdoor vendor and food festival. It's fun for families of all ages. 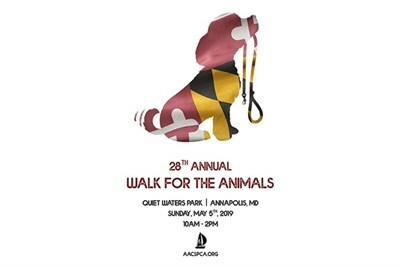 Pledge to walk and help the animals of the AACSPCA.